Pretty much everyone I know has some sort of damage. Heck – even I have some form of damage. What do I mean by that? Well we are all not perfect. 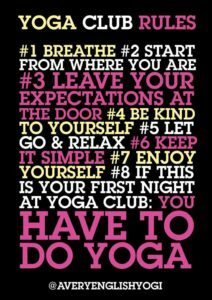 We don’t just turn up to the mat and do yoga with a perfect body, breath and mind. We bring with it a history of experience which includes pain, and suffering, physical injury and a litany of problems that we have acquired, either through genetics or just from the course of our lives. Yogis and yoga teachers are pretty much the same. If you haven’t been tempered through the fire of experience, pain and suffering – your yoga practice and (as a teacher) teaching will be pretty one dimensional, unless you are a supremo when it comes to empathy. The stuff that we carry, and that we have been through makes us who and what we are. Which is why I like the concept of Kintsugi or Kintsukuroi. This is a japanese concept and translates to “golden joinery”. It means “golden repair” and is an ancient Japanese art of fixing broken crockery and ceramics with gold usually. The cracks of the breakage are sealed and fixed with rich seams and seals of gold. Isn’t that a lovely transformation of cracks – and damage? Which brings me to yoga. Yes, I know, I am always writing about yoga. It’s why I am a very english yogi. But in reality yoga has been my gold sealant. I guess it’s a gold sealant for many cracked and damaged people. Yogis and yoga teachers included. This isn’t a sob story. It’s a celebration. Yoga for me has been a set of technologies and techniques that have helped sealed the cracks. I think it has helped others, and can help others. Of course, I know that others have other paths, journeys, techniques and technologies. I love the crowd of wild swimmers and walkers. They are following a noble tradition that goes back to our earliest days. The marathon runners and the weight lifters and the calisthenicists. The cyclists and the gymnasts. The artists, poets and writers. They have all found routes away from their pain and baggage. They are sealing the cracks. There are countless routes we can take. Countless methods and techniques that can help. Yoga is mine. If you haven’t found a path – maybe yoga is worth trying? Next time you are in a yoga class and admiring the posture or pose of the yoga teacher or your neighbouring yogi and getting caught up in some kind of angst that you can’t do twisty bendy: remember – all you are seeing is a golden seal in action. It hides a crack. It’s a celebration of survival and being. And that is there for you too.